Lelo in Nopo: Lavender, lavender everywhere. From jam to cookies to lemonade. Lavender, lavender everywhere. From jam to cookies to lemonade. I've been working with lavender lately. 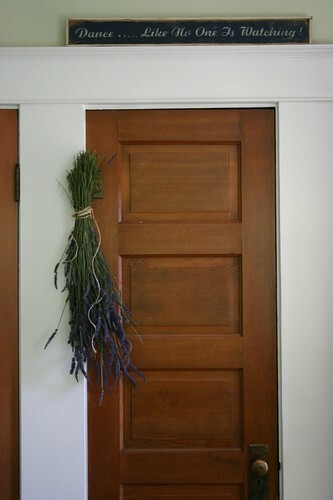 Thanks to a gift of a few huge bushels from neighbors with an abundance of lavender, we've been enjoying the scent throughout the house. 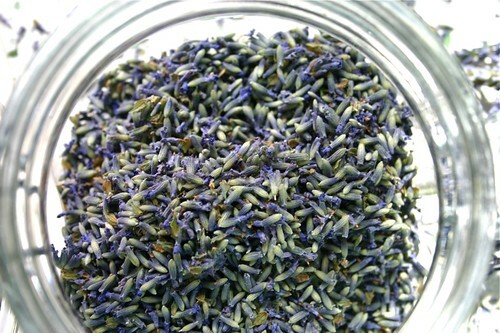 Once dried, I pick the lavender buds off of the stem and drop them into a jar for storage. To make lavender flavored/scented sugar, I've mixed some into a cannister with sugar. After a few weeks of intermingling, I just sift out the lavender remove the buds and it's done. Recently, I sprinkled some fresh lavender buds on top of a bowl of raspberries, and refrigerated them overnight. 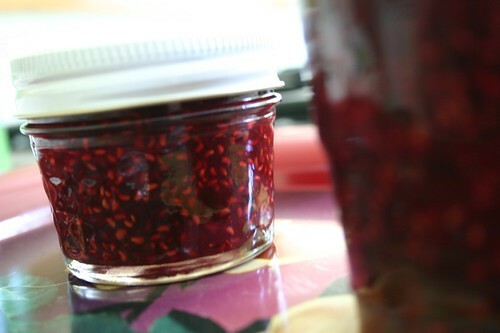 The next morning I made some decadent raspberry jam. This jam making thing is getting easier. One of my favorite lavender recipes is lavender shortbread cookies. And with a little Tillamook Vanilla Bean ice cream smashed between two, they make perfect ice cream sandwiches. (And duh, Tillamook Vanilla Bean is the very best vanilla ice cream, is it not?) 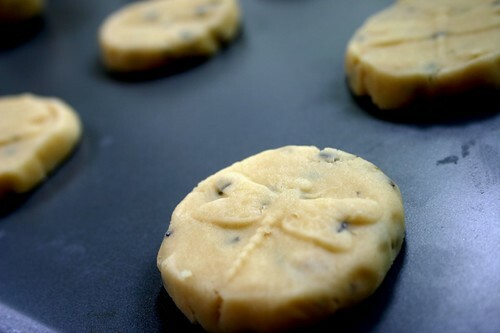 I've discovered cookie presses and ooh, now my lavender cookies are imprinted with dragonflies. See? Lavender simple syrup has gone into a few cocktails. It's a flavor I have yet to succesfully mix into a drink: with lime it's tangy, but too much lavender and you're drinking a bath tub of floral scents. See? Lavender can be tricky that way. I wrote about it my love of lavender in my current Sassy Gardener column, where you can also get the recipe to those tasty lavender shortbread cookies and lavender lemonade, too. What's your tastiest lavender creation? Very nice. I would like one of those cookies. Jake's uses Tillamook Vanilla Bean on their desserts. It may be replacing Haagen-Dazs in my affections. I love those cookies you made them last year...so good! Lavender honey chicken. So. Good. Can you share the lavender shortbread recipe? They sound delicious. RSG: Your wish is my command. Chery: Oh share that recipe. That sounds great. 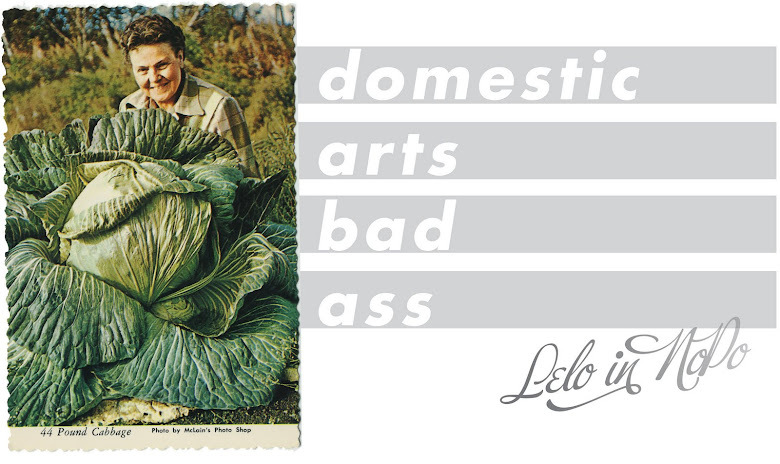 MLC: you can get that recipe by clicking on the link to the Sassy Gardener column. I included it there just for you! Oh thanks!! I see cookies in my future and the lemonade needs trying as well. I love lavender used in recipes. 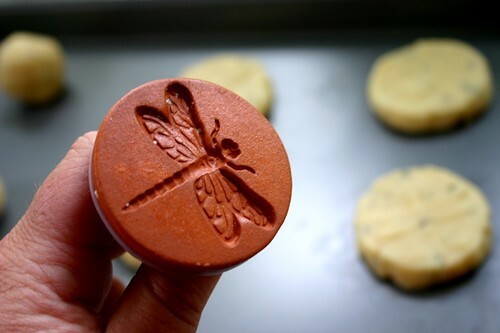 Where did you get that dragonfly cookie press? I can attest that that your lavender cookies with Tillamook VB ice cream are out of this world! Yum. I bought some cheese at the farmers market that has lavender and sage in it. It is REALLY good. RE the lavender simple syrup: I like just a dash with Tanqueray over crushed ice. (Yes, I know I drink like a redneck. It's good anyway.) I know it's right by smell. You're right that it can go to "bathtub" so easily! I made lavender wands recently and just made lavender cookies and lavender lemonade last week. The lemonade was especially delicious. Your cookies are so petty! I love the dragonfly. Isn't working with lavender a joy? I love the idea of pressing a picture into the cookie. I looked up cookie presses online, but only came up with the ones you squeeze through a tube. Where did you get yours?